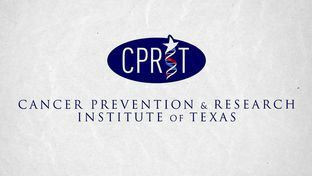 The Cancer Prevention and Research Institute of Texas (CPRIT) has awarded a total of over $89 million to support research projects focused on treating and preventing cancer, as well as develop novel products to fight the disease. The 42 projects awarded are being conducted at academic facilities throughout Texas. The institute, which has funded numerous research projects in Texas since its establishment in 2009, will support 28 new academic research projects, 11 prevention projects and two other projects focused on product development. Through the academic research program, CPRIT is granting about $60 million. Near $31 million is being awarded through six Core Facilities Support Awards to support either the establishment or enhancement of scientific facilities expected to encourage scientific oncology studies. High-Impact/High-Risk grants, on the other hand, are meant to support novel findings regarding diagnosing, treating or preventing the disease. Another set of awards, the Multi-Investigator Awards, are designed to support researchers working in the critical fields of cancer research and translating scientific findings towards new instruments and applications with promising outcomes able to impact the management of the disease. Other research grants were awarded to recruit more scientists to work in cancer research projects at the Texan academic institutions. The grants will be used to hire one distinguished senior investigator and three promising researchers. In addition, CPRIT also includes a prevention program that granted a total of $20.6 million to enable the implementation or enhancement of prevention services, particularly among Texas’ underserved residents. The recently awarded Evidence-Based Service and Coalition Projects are focused on improving the prevention of colorectal, breast, cervical and liver cancer, implementing screening, education and clinical services. The product development CPRIT program, which awarded a total of about $8.5 million in grants, is designed to accelerate the innovative process by narrowing the gap between these promising cancer findings and the industrial and commercial sectors. The grants awarded are centered on oncology research and diagnostic methods being studied by Texas-based companies. Finally, the institute also seeks to support projects that had already been funded through its Competitive Continuation grants, which received new rounds of funding due to their success in the areas of breast, cervical and colorectal cancer screening and diagnosis. The awarding of these new CPRIT grants is made following a careful review process of each program, certified by the program’s review councils and approved by the Oversight Committee. The institute has already granted roughly $1.33 billion since its inauguration due to a constitutional amendment by the Texas Legislature in 2007, meant to support research projects from 254 counties of the state and enhance advancements to prevent and treat cancer. Last January, the University of Texas MD Anderson Cancer Center at Houston announced it was among recipients of a new tranche of CPRIT research grants. About half of the more than $22 million in new CPRIT funding awarded to the center will go to MD Anderson faculty for Individual Investigator Research Awards (IIRA), as well as 40 percent of the total IIRA awards that include allocations for pediatric and adolescent cancer, and for early detection and prevention.